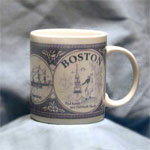 Mug with a cage full of red lobsters and the words "TRAPPED IN BOSTON". 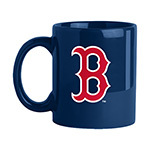 The image is duplicated on both sides of the mug. 10 ounces.